Has Tom Hiddleston damaged his brand? The last few months haven't been too easy for Tom Hiddleston. In September, he and girlfriend Taylor Swift broke up after three months together amid accusations their relationship was a publicity stunt. Then, in January, he apologised for an "inelegantly expressed" winner's speech at the Golden Globes in which he referred to aid workers in South Sudan "binge-watching" The Night Manager. This time last year, the actor was riding the crest of a wave. 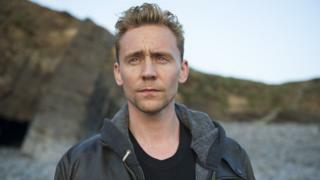 After starring in hugely successful BBC drama The Night Manager as well as the big-screen adaption of JG Ballard's High-Rise, he was a hot favourite to be the next James Bond. But have his off-screen actions since done damage to his brand? "Some of the recent headlines have been unhelpful," admits Mark Borkowski, a strategic PR consultant. "There are events that happen and they're not thought through properly, and the nature of being caught up with Taylor Swift's gang and not thinking it through strategically has undone him. "Sometimes people don't recognise the power of their brand, and often you can't conduct yourself in the way you think you can." But Steven Gaydos, vice-president and executive editor of Variety, thinks Hiddleston is still a hot property, despite his recent PR mishaps. "I don't think anything he's done to date has put any serious dent into his career," he told the BBC. "He's a fantastic actor doing fantastic work. He has a fanbase and he's delivering the goods. "These are just missteps - somebody doing something that causes chatter. In this case Tom Hiddleston made a speech and people thought it was silly, or he dated a woman and people thought it was a little bogus. "He's not going to be hauled in front of the courts for any of this." Nonetheless, it's fair to say HiddleSwift brought Tom a great deal of negative attention. Some fans thought the couple were being suspiciously open about their relationship, leading to accusations that all was not what it seemed. Hiddleston has now defended his relationship with Swift in an interview with GQ, saying: "Of course it was real." He also said the 'I ♥ T.S. [Taylor Swift]' tank top he was photographed wearing was "a joke", explaining he was lent it by a friend to protect a graze from the sun. The actor said the pictures of him wearing the shirt were taken "without consent or permission", and that fans and the media had "no context". "I was just surprised that it got so much attention," he said. "The tank top became an emblem of this thing." So is this latest interview simply damage limitation? "Absolutely," says Mark Borkowski. "I don't think Tom Hiddleston knew at the time just how big a brand he was. Now he does know that and has to think carefully. "This GQ interview is an example of putting the record straight and trying to get a narrative together to try and recover from some poorly judged moments." Borkowski adds: "There's a beautiful naivety about Tom Hiddleston that is projected through this interview where he's trying to talk directly to his fans. This is material you put there for them." Hiddleston himself admits in the interview: "A relationship in the limelight takes work. And it's not just the limelight. It's everything else. "And I'm still trying to work out a way of having a personal life and protecting it, but also without hiding." Gaydos has a lot of sympathy for the 36-year-old on the Taylor Swift front. "Imagine you just met someone and you're having a relationship and the whole world is watching. It's like snakes all around you," he says. "I'd hate to to live in a fish bowl and have every move analysed, with people saying you're a fraud, your relationship is a fraud, everything you're doing is insincere and fake." Hiddleston has two films coming out later this year - Thor: Ragnarok and Kong: Skull Island. Gaydos says the film studios won't be particularly worried about Hiddleston's off-screen actions. "They're worrying about the tracking. If the trailer goes out for Kong and the response isn't strong or the awareness of the movie isn't high, that's what they're really concerned about," he says. "Tom has not ventured anywhere near the space where we've seen stars screw up their careers and really damage their star wattage." Borkowski adds: "Anything is recoverable in this day and age. "Last week we were hearing about the death of the David Beckham brand, but we'd forgotten about it by Thursday. "Things move so quickly now, so it is always about recovery."